The big-name festival many of us have come to love has quite a story to tell. 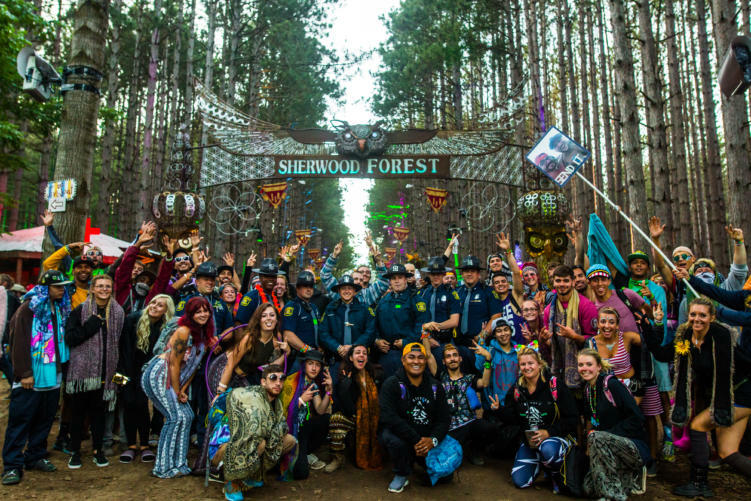 Before Electric Forest was all it is today, it was a community effort to unite and be free. Rothbury Music Festival took place over Independence Day Weekend in 2008. With an estimated 30,000+ attendees during their first year, it emerged as a tour de force on the Midwestern festival scene. The lineup revolved around a mainly electro-jam center. Electronic kings Diplo and Bassnectar played alongside jam-giants STS9 and Disco Biscuits. Even Snoop Dogg came out for the inaugural performance. After a long fought battle over the ownership rights of JJ Ranch the following year, Rothbury Festival was confirmed for a second run. Rumors of Phish and Tom Petty performances surfaced, though sadly never came to fruition. 2009 would be The String Cheese Incident’s first official Forest performance. Shpongle, Pretty Lights, and Big Gigantic all made an appearance, as did hip-hop mogul Nas, members of The Grateful Dead, and Bob Dylan. In the summer of 2011, Electric Forest premiered at the JJ Resort. Tiësto, Kaskade, Lettuce and Excision all helped christen this next chapter in Forest history. 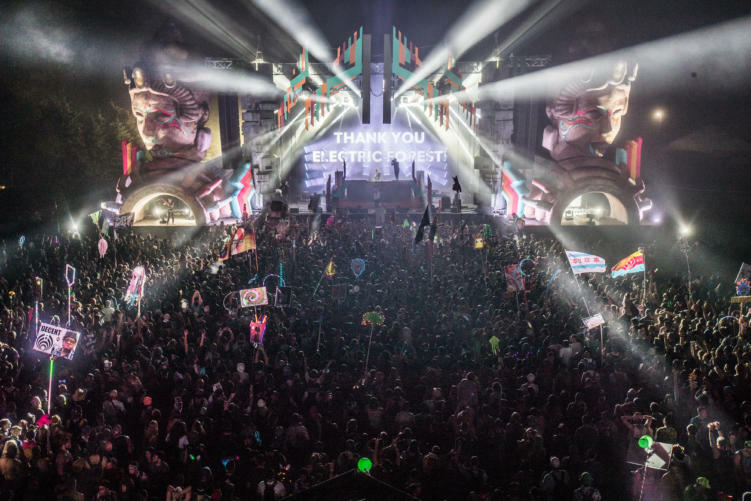 Production giants Insomniac Events partnered with the festival for the first time this year as well. In 2012, they introduced specially curated events with members of Thievery Corporation and local EDM promoters. In 2014, the festival completely sold out for the first time. Rothbury regulars welcomed big names like Ms. Lauryn Hill and Moby to the Forest. In 2016, the forest’s initial lineup reveal was truly ingenious. Fans and loyal attendees received specially mailed envelopes with multiple artists’ names. HQ encouraged people to share their info on social media, and piece together the lineup as a community. After years of growth, Forest HQ announced they would be splitting the festival into two weekends for the first time in 2017. The decision was met with mixed reviews from the Forest community. Some complained it was a sellout decision, comparing Forest to other mass-cash festivals. Others welcomed the extra space. Cutting down on attendance for each weekend gave campers more room to breathe, while two weekends gave thousands more the opportunity to visit the Forest. Although it’s not officially recognized, this will be the tenth year that the Forest has opened her doors to thousands of music fans. Any seasoned EF goer will tell you that it’s unlike anything else. The trees have over a decade of songs and stories to share. The Forest is like the Mother Earth figure calling her children home every year. She’s whimsical and nurturing. She’s breathtaking and tranquil. She has a history to share with us, and it’s almost time to come home! Listen to our official Electric Forest Playlist, or get your tickets here. Photos courtesy of Electric Forest HQ.